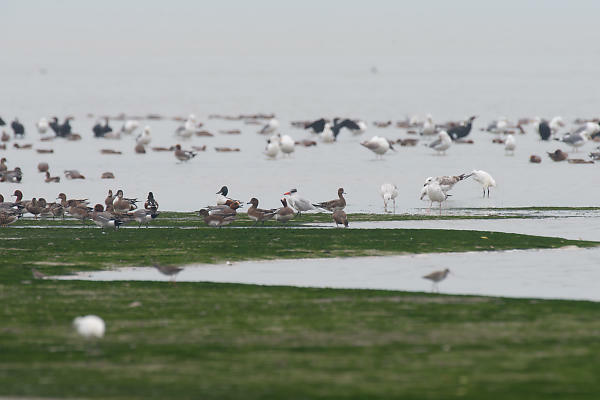 There is one Caspian Tern in the middle of the scene. Some cormorants, some of the larger gulls and ducks. The Northern Shoveler is pretty common (green head, large bill) and Eurasian Wigeon.